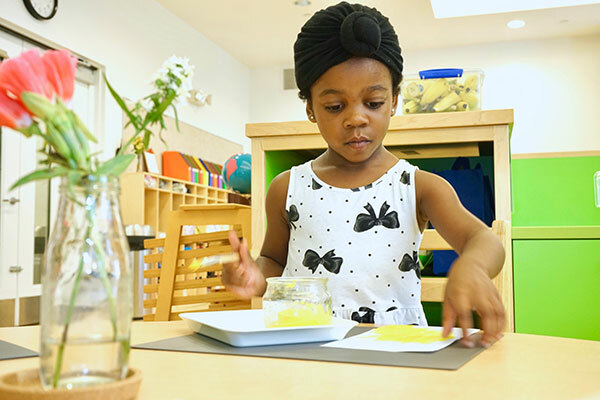 Pine Street School offers a dual language Preschool Program for 3-year-olds that fosters social and cognitive development and lays the foundation for learning in multiple academic areas. 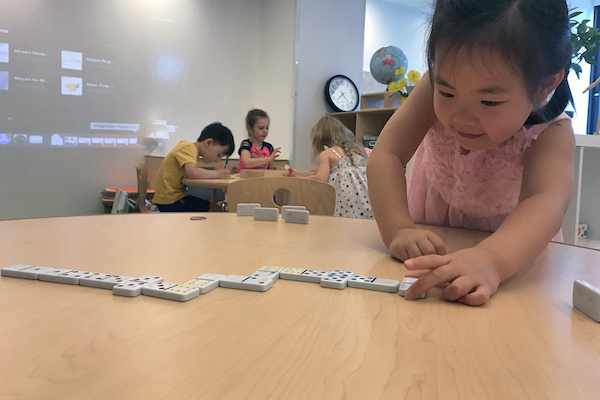 Our Preschoolers learn to approach new challenges with confidence. They are empowered to become creative, well-informed, passionate and joyful learners and citizens of the world. The Preschool Program runs from 8:45am-2:45pm. Parents can choose from an English-Mandarin or English-Spanish dual language immersion track (and can switch tracks at Kindergarten). There is also an Extended Day Program that runs until 6pm. See a Sample Day and Sample Week down below. For children turning 4 by December 31st, please see Junior Kindergarten. From the Montessori sandpaper letters and beautifully crafted manipulatives, the spaces are designed to facilitate exploration, delight the senses and invite learning. 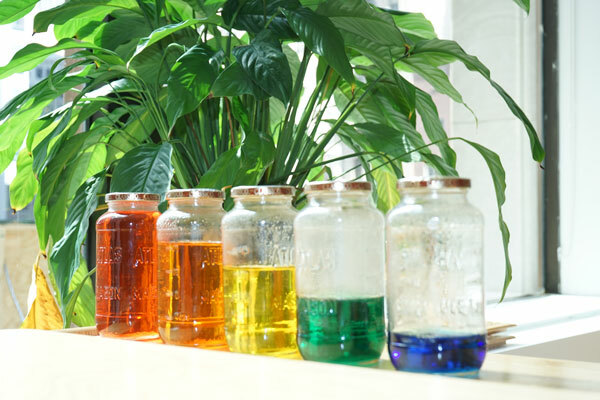 And what makes our Montessori-inspired classroom even better? The IB PYP Program teacher-facilitated units of inquiry which introduce dynamic collaborative group experiences and dialogue, highly individualized learning, development of student agency and a deeper sense of international-mindedness. In our Preschool, the tremendous engaging power of the PYP really begins to take hold. Teachers introduce a set of transdisciplinary units using age-appropriate inquiry-based methods. The units often focus on important conceptual understandings in the sciences and social sciences, but they draw on all relevant subject areas and encourage students to begin looking at ideas from multiple subject perspectives. Our Preschool teachers facilitate the children’s workas they become actively engaged in the learning process, gaining a deeper sense of pride and ownership for their accomplishments because their work is always meaningful. You'll watch in amazement as your children develop the confidence and independence that will empower them as learners and fuel a curiosity that will last a lifetime. Preschoolers enjoy highly individualized attention due to our low student-teacher ratio of 8:1. Plus, the unique flexibility of our curriculum allows us to continually challenge each child at his or her own pace. Our teachers value a close working relationships with families. This partnership is fostered through ongoing, personal communication as well as multiple conferences each year. A balance of structure and flexibility that allows for the natural development of each child's physical, emotional and cognitive skills. A beautiful, orderly environment to entice children to explore and to reinforce their innate sense of curiosity. Substantial outdoor recreation and exploration combined with regular indoor motor play time. We take full advantage of numerous outdoor recreation amenities in our immediate area, including, Imagination Playground, the Elevated Acre, Pearl Street Playground, Pier 15's grassy lawn and riverside perch, beautiful Battery Park and our farm plot in the Urban Farm. Our Preschoolers enjoy a spacious indoor play and physical education space, specifically designed to meet the young child's need for gross motor development. Pine Street School Preschoolers are supported in social-emotional learning. Mutual respect is the foundation of our program’s success. You can see the strength of our respectful culture in the tone in the classroom, always purposeful and self-disciplined. When children are absorbed in their work and collaborative protocols are reinforced, disruptions are rare. The teachers support students with problem solving, listening, modeling appropriate behavior and responding. While we support Mandarin and Spanish, English fluency for native and non-native speakers is by far our highest priority. English language and literacy in our Preschool is designed to support students to become fluent users of language who enjoy reading, writing and communicating for pleasure and are able to use their language skills purposefully as learners. Learners become systematically acquainted with numerous strategies which support them in decoding, comprehending and constructing text. They are explicitly taught the language patterns which allow written and spoken communication to achieve its purposes, such as recounting an event, narrating a story, explaining a phenomenon or arguing a point of view. They explore the language choices that are typical within these patterns and the ways in which understanding these patterns and choices can help them better comprehend what they are reading as well as construct texts that will achieve their purposes. Mathematics in the primary years focuses on helping students develop their understanding of mathematical concepts and skills that can be applied in everyday life as well as for continued learning in mathematics. Learners build a thorough base of computational fluency and expand their thinking, reasoning and communication skills through a mathematical approach to problem solving. Learners use real-life contexts to engage in mathematizing and modeling problems that they can then analyze, manipulate, solve and interpret. Through creating and sharing their own mathematical ideas and arguments with each other, learners are support in becoming more playful, reflective, resilient and open minded mathematicians. At Pine Street School, we believe that music and art should play integral roles in every student's learning. Preschoolers enjoy regular weekly time with our school’s Music Teacher exploring instruments, musical genres, cultures, composition, and music theory. They also work regularly with our school’s Art Teacher learning how to use the tools, materials and approaches associated with various forms of artistic expression. These art experiences are often interlaced with the curriculum in special “artist studies” in which students learn about specific artists, their cultural influences and their unique styles and techniques. Preschoolers then replicate those approaches and works as a way to develop a deeper understanding of the genre. After School Clubhouse is available for any Extended Day or Full-Day students. Learn more here. 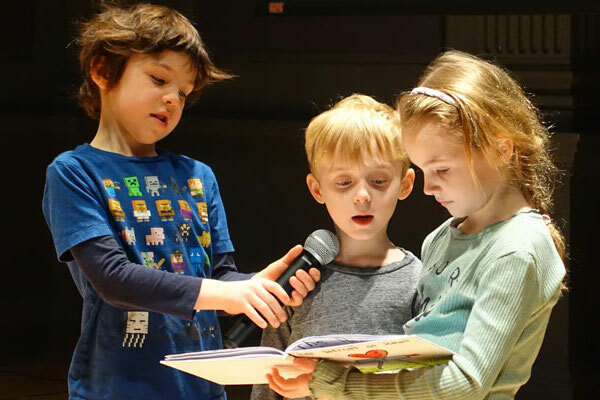 The Pine Street School Preschool provides a safe, nurturing environment for students to start to explore the literacies, inquiry and social skills that will be key to all future collaborative learning. Our program includes regularly scheduled enrichment activities which may include music, art, yoga or dance, each taught by teachers that are specifically trained in these disciplines. Pine Street School School's Junior K program is for you! The popular Clubhouse after school program at Pine Street School is affordable and available every day that school is in session!